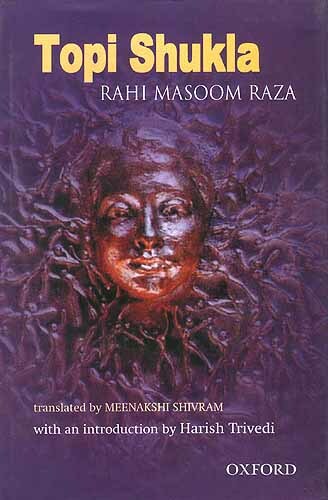 Rahi Masoom Raza was a dreamer that dreamt of a entire new era in writing and the same reflected in himself and his sartorial style. Rahi’s journey begins on 1st September, 1927 in Gangauli, a small village in the Ghazipur district in eastern Uttar Pradesh [ INDIA ]and ends with his vaseeyat in which he wills that he be laid to rest in the lap of Ganga, whom he considered his second mother. He passed away on 15 March 1992. 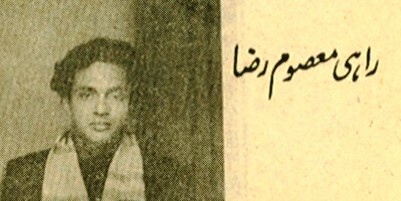 In Ghazipur,he always particated in local Nashishts and Seminars with his companions Mlovi kalim ghazipuri,Khamosh ghazipuri,molvi fayyaz and many more literary personalities.Here he was a main central figure of Urdu world and literature and great respect,he had achieved.In Ghazipur, Rahi's father ,Bashir Hasan Abdi was a renowned advocate in civil court . Raza completed his early education in and around from Madarsa Chashma e Rahmat and M.A.H.Inter College Ghazipur from where he went to Lucknow and then Aligarh Muslim University to complete higher studies. 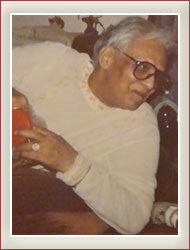 He completed a doctorate in Hindustani Literature and pursued a career in literature. 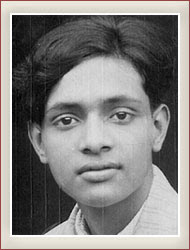 Not only Rahi was a famous Urdu shayar but also was a famous author, play writer and novelist of Independent India. He also wrote in Hindustani and Hindi language. He was also an eminent lyricist of Bollywood. In his career spanning 35 years, Rahi Masoom Raza has written lyrics, dialogues and stories for various movies and television series. His high came with the telecast of TV series 'Mahabharata' that was based on the Hindu epic Mahabharata. Masoom Raza, a Muslim, wrote the screenplay and dialogue of the TV series that went on to become the most watched TV series in India. At one time, its TRP was staggering 86 %. This was a triumph for Raza as some Hindu zealots had criticized his inclusion in the team. He started writing poetry at a very young age in Ghazipur when he was a student in Madarsa Chashma E Rahmat oriental college. His SHAIR-GURU was Sarosh mahlishahri who was here,a bank manager.When he shifted to Allahabad, Initially, he never wrote by his real name but picked Shahid Akhtar and Ashfaq Haider as his pen-names. He wrote the script and dialogues for a popular TV serial, Mahabharat. 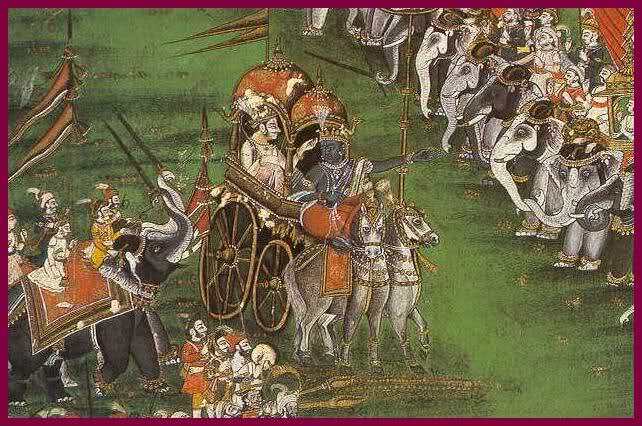 The TV serial was based on the epic, the Mahabharata. 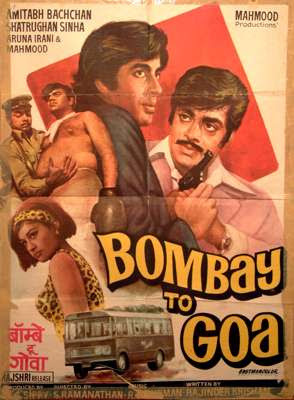 The serial became one of the most popular TV serial of India. Its peak Television Rating was around 86%. Several of Raza's works vividly depict the agony and turmoil of the consequences of the partition of India, especially its effect on the Hindu-Muslim relationship and the social tension among different Indian social groups. 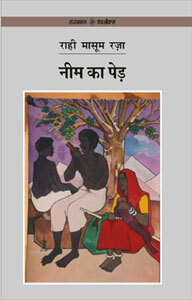 They also depict life in feudal India and the ordinary happiness, love, pain, and sadness of ordinary people. At times he is the narrator. 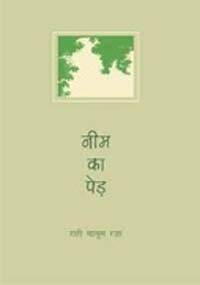 For instance, his novel Adha Gaon ("Divided Village") narrates the story of two opposing Muslim landlord families in the village Ganguali at the time when India was gaining independence. The central theme of Adha Gaon is that different people — regardless of class and religion — were sharing same land, water and air like brothers with all their human qualities and weaknesses but communal rivalry was not that much prominent then the mutual relationship between the both the communities in United Provinces at the time of Indian Partition. In Adha Gaon, Raza paints a very colourful picture of 1940s rural India showing interdependence of Muslim & Hindus on each other be it may be in form of relationship between two landlords or relationship between master and servants (right hand man of a Muslim Zamindar is a Hindu and best friend is also a Hindu Zamindar). 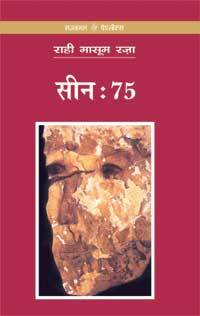 Theme of novel is that,that before politics tore us away we (Hindu and Muslim)were one nation, Hindustan. Katra Bi Arzoo ("The Lady Desire Locality") is set in the city of Allahabad, Katra being a locality of the city. 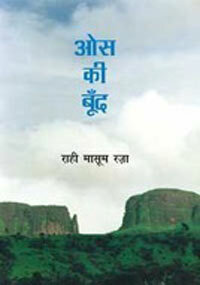 The novel is set in 1970s India and as its central theme it bares the brutality of emergency in India and how general people were affected by such a draconian regime.Its an ode to anti emergency activist and shows how people through their vested interest enjoyed the fruits of emergency and how emergency ruined and destroyed the life's people. 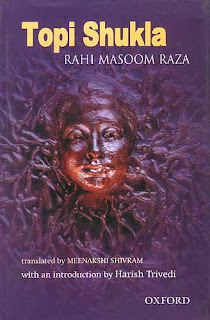 In the foreword, Raza dedicates the novel to anti-emergency activists and say that freedom of speech is basic freedom. Another novel, Topi Shukla, also revolves around the acts and conducts of devilish politicians of India min character topi shukla being metaphor for Indian politician. 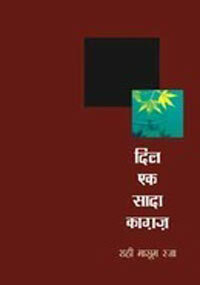 In his "Neem ka Ped" Raza tells the story of an "asami", a tenant labourer and his landlord master. 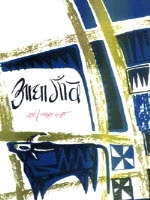 The story starts in pre-independent India and ends in post independent India, showing the vagaries of both the feudal and democratic systems in India with its darker side. 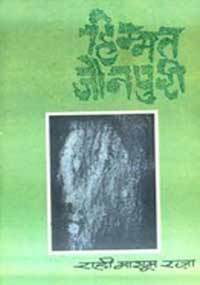 The main protagonist is a landless labourer who is very faithful and obedient to his master and dreams only of making his only son an educated person. Fortunes dwindles in landlords home and he is sentenced to jail for murder of an upcoming leader of congress because of manipulations of his cousin who is also a landlord but nurses a grudge against the landlord. 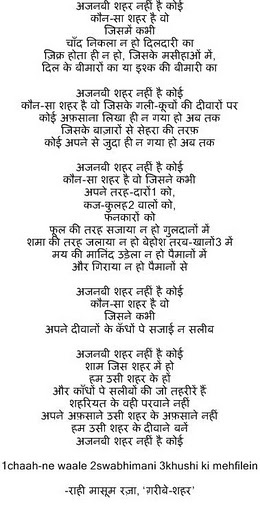 After independence son of labourer becomes a member of parliament and son of landlord his trusted aid and advisor but as the saying is "power corrupts" the son of labourer who had now became an M.P. gets corrupt and selfish and in that is destroyed. Highly popular T.V. 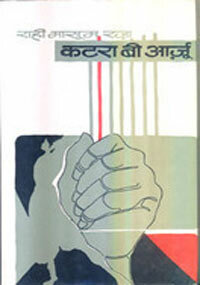 serial by same name was made on these novel in which Pankaj Kapoor marvellously depicted the landless labourer. Singer Parvati Khan is his daughter-in-law. 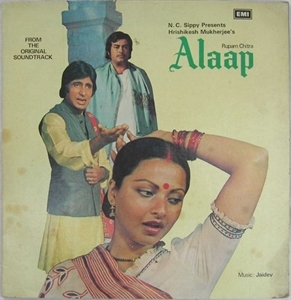 She is married to his son Nadeem Khan, who is a director and cinematographer. jinse ham chhooT gaye, ab vo jahaaN kaise haiN? shaaKh-e-gul kaisii hai? Khushboo ke makaaN kaise haiN? us galii meN mere pairoN ke nishaaN kaise haiN? vo makiiN kaise haiN? shiishe ke makaaN kaise haiN? is zamaane meN vo saahib-e-nazaraaN kaise haiN? dushman-e-jaaN vo masiiha_nafsaaN kaise haiN? Dil ke ujle kagaz par ham kaisa geet likhe..
bolo tum ko gair likhe ya apna meet likhe..
nile ambar ki angnai me taro ke fool..
mere pyase honton par hai angaro ke fool..
in phulo ko akhiir apni haar ya jit likhe..
koi purana sapna de do aur kuchh mithe bol..
lekar ham nikale hai apni aankho ke kash kol..
ham banjare prit ke mare kya sangit likhe..
sham khai hai ekk chameli ke pyale me shabnam..
jamuna ji ki ungali pakade khel raha hai madhuban..
aise me ganga jal se radha ki prit likhe....! jin aankhon me kajal ban kar tairi kali raat ho..
unn aankho me aansu ka ekk katra hoga chand..
Rat ne aisa pech lagaya tooti hath se dor ho..
aangan wale neem me jakar atka hoga chand..
chand bina har din yun bita jaise yug bite ho..
mere bina kiis hal me hoga kaisa hoga chand...!!! What was wrong me, you didn't like?